For the past five years I have used the Pass Labs XA100.5 monoblocks on various loudspeaker systems, and have come to rely on their beautiful, refined tonalities and their ability to exert dominance over all loudspeakers I put to them. Confidence in its control over various loudspeakers and operational reliability is what I had when using the monoblocks. It was my custom to leave the XA100.5 monoblocks amplifiers out of standby and on active use for speaker-burn-in for weeks and they remained stable, rising to face whatever challenges I put before them. In my regular auditioning tests, I also put the XA100.5 through extremely harsh duties beyond what their specs recommended and they remained dependable as a rock. The specs may say “100 watts per channel into 8 ohms,” but I knew it could drive anything and thus threw all kinds of speakers at them. Pass Labs was founded in 1991 by Nelson Pass, who also founded and ran Threshold from 1974 to 1991 with his partners. Nelson’s numerous patented innovations and achievements in amplification designs garnered him a reputation as the forefront designer for high-output, high-performance and reliable, high-end audio amplifiers. His Threshold Stasis circuit, in particular, was licensed to Nakamichi for production in the 1980s. 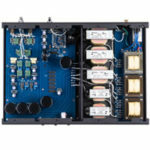 His Pass Labs’ Aleph series of amplifiers, produced in the early days of the company, remain a highly competitive product even in today’s marketplace. His latest series of amplifiers are the “XA.8” Pure Class “A” High Current Series (XA200.8, $42k/pair, XA160.8, $27.3k/pair, XA100.8, $20.3k/pair, XA60.8, $13.5k/pair, XA30.8, $6.8k stereo), and the High Voltage Series that is the “X.8” (X600.8, $27.3k/pair, X260.8, $13.5k/pair, X350.8, $14.2k stereo, X250.8, $10k stereo, X150.8, $6.75k stereo). There is also the XP Series of preamplifiers, from the $5,250, single-chassis XP-10 with remote control to the $8,600, 2-chassis XP-20 and the $16,500, 3-chassis XP-30. This review of the XA200.8 is conducted with the Xs Preamp, the ultimate Pass Labs preamplification system with two large chassis. In addition to the aforementioned models, there also exists the unprecedented Xs Series of products that is the result of the most colossal and indulgent engineering feats to date from Nelson and his gang. For those with means seeking the ultimate level of performance, they are the four-chassis power amplifiers of the Xs 300 ($85k/pair), the Xs 150 ($$65k/pair), the Xs Preamp ($38k) and the Xs Phono ($45k). The Pass Labs XA200.8 are huge, measuring 19 inches wide, 27.5 inches deep and 11 inches high, thus considerably larger than any amplifier I’ve had in my system. We are talking about a pair of these. The most powerful unit in the company’s pure Class A high current series, the XA200.8 is capable of 400 watts into 4 ohms, and remains in Class A bias and peaks at 430 watts into 8 ohms! 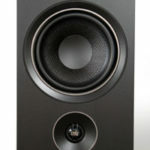 What better speaker to take advantage of the powerful Pass Labs than a pair of Magnepan 3.7i (86db/4 Ohm). My thanks to Wendell Diller of Magnepan for the special review arrangement. In recreating conductor Claudio Abbado’s last recorded performance with the Lucerne Festival Orchestra in a reading of the Bruckner Symphony No 9 via HDtracks 24/96 download, the XA200.8 was effortless in rendering wholesome tonal details and contrasting dynamics of orchestral instruments. The speed and directness of the music were reminiscent of a live performance. Timbre purity at this level as accorded by the music provided conclusive testimonial to how far Deutsche Grammophon has come in advancing the quality of its recordings. It was a delightful listening experience, one made the more intense by the accompanying, agile dynamic transients and dynamic realism. A good recording makes one appreciate the care and insights of the recording engineering team, and this particular musical experience put me in awe of the preceding decades of strides we have achieved in bringing such insightfully rendered works of art into our home. The unprecedented insights of the reading, the amazing resolution of the music, the purity and power of the performance coalesced in my listening space. And I didn’t even want wine to make it rosier. Whereas the smaller XA100.5 monoblocks were instrumental in conjuring three-dimensional spatiality from the Magnepan 3.7i, the flagship XA200.8 created an unveiling act on the music with the extra transparency throughout. 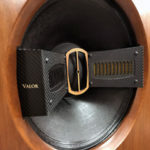 While it speaks volume of the value of the Magnepan, this audition also bore testament to the prowess and virtues of super amplification designs. This alone defines amplification excellence. The key to such performance must stem from the company’s consistent track record of utilizing minimal gain stages, specifically only three in the XA200.8. For the amplifier’s first two stages, namely the input stage and voltage gain stage, Pass Labs incorporated quad sets of JFET, Mosfet and Toshiba Bipolar devices. The Toshiba devices sport considerably larger heat sinks for high bias currents, with no capacitors in the amplifier circuit so that it is fundamentally stable and quiet. In addition, the gain stages are fed by a decoupled, massive power supply with interleaved layout techniques, effecting a reduction in the amplifier’s output noise by 10dB from the previous products; the ripple effect is now measurable only in microvolts, resulting in a peak-to-peak signal-to-noise ratio of 130dB! This is the kind of amplification that makes the music listening experience more rewarding, allowing us to discover more from our music collection. Note that all the Toshiba devices are extinct superior parts, gone from us forever, but in otherwise abundant stock at Pass Labs. You have our thanks, Nelson and the gang. Nelson spilled such considerable ink into the Manual that it is a delightful, engaging and worthy piece of writing on its own. The XA200.8 was also the first amplifier in my memory to produce such dense spatiality and spectral extensions via a pair of large-panel speakers. I own a pair of Apogee Duetta Signature and had a pair of Magnepan IIB of old. Myriad amplifiers graced these speakers’ presence and it is irrefutable that the latest MIT Cables also contributed to what I’m hearing currently, but the sound of the Magnepan 3.7i as driven by the Pass Labs XA200.8 was a revelatory, lifetime experience. 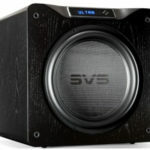 Pairing a brute-force amplifier with power hungry speakers has always been a risky scenario, making me long for the singular listening experience only attainable from meticulously tuned, high-synergy systems, and hoping for no mishaps in the form of amplifier breakdown or speaker burnout from overworking, distorting amplifiers. And it had better be beautiful sound not just for a year or two. All I’ve written about the XA200.8 up to this point are based on the use of the factory-supplied generic power cables, which I subsequently replaced with the MIT Cables Oracle AC II ($4,499, 2m) network power cables from the one and only Bruce Brisson. The amplifiers as powered by the MIT Cables delivered such signal to the speakers that the music took on a higher level of dynamic transients, spatiality and power. This was a new experience of high fidelity that caught me completely off guard. Retrospectively, the Pass Labs XA200.8’s sounded convoluted and restrained in retrospect when they were switched back from the MIT Cables to generic. I’ve always opined that no competent designer would readily agree to the use of aftermarket, exotic power cables in order to bring out the beauty of his design. So again, I put Desmond Harrington, president of Pass Labs to the inquisition and he, in his typical, unflinching demeanor said he would not ship his products with anything other than UL-listed cords for consumer safety reasons. I am here to tell you that anyone who can afford a $42k pair of amplifiers will not use them with anything but exotic power cables, if only to put the fear of God into his visitors. For me, MIT Cable’s Oracle AC II is the genuine article, and they’ve made a believer in me that I don’t need Pass Labs’ Xs 150 ($$65k/pair) or the Xs 300 ($85k/pair) right away. 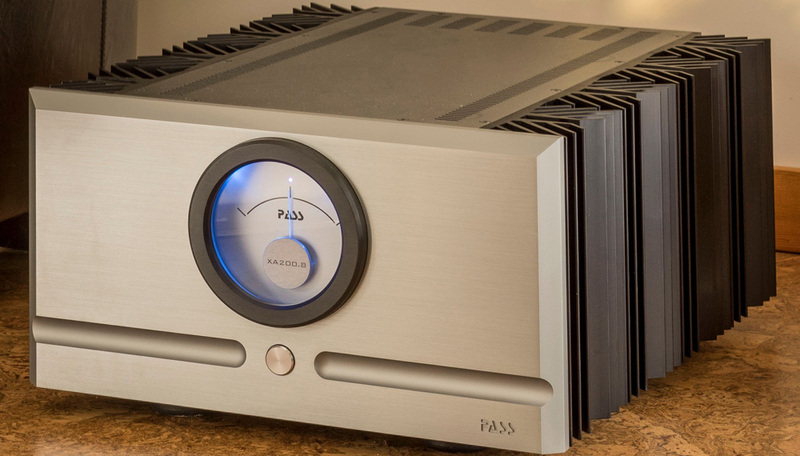 In conclusion, the ideal reviewing tool to me is one with the highest level of amplification power in the most refined and reliable form, and the Pass Labs XA200.8 is the materialization of that ideal. can’t find this on HD Tracks – you sure this is the correct citation? I dare anyone to do a blind A-B test and pick out the expensive power cords. By the time the AC is rectified and filtered there is nothing measurable PERIOD. Jon, you are incorrect, I have done a blind A-B test with the Oracle AC cables and the difference was astonishing. I don’t care what the measurements say the Oracle AC cables made a huge improvement in dynamics and power Period. Please don’t make judgments until you have listened to them.